How do you follow up perfection? Many of us remember being enchanted by the staggering, animated ocean beds of Finding Nemo thirteen years ago – moved to tears by both the film’s wit and emotional story of an anxious clown fish on a journey to find his missing son. Although Monsters Inc. is undoubtedly my personal favourite, Finding Nemo might just be Pixar’s ultimate masterpiece. I would defy anyone to find major fault with it. Despite my reservations about Finding Dory, and my fears that it would taint what I felt should have remained a precious one of a kind cinematic experience, thankfully it’s rather lovely. It never reaches the majestic heights of the first instalment but I doubt it ever intended to. We join Marlin, Dory and Nemo on a new adventure as Dory determinedly searches for her parents whilst Marlin and Nemo do everything they can to find her and accompany her on her lonely quest. 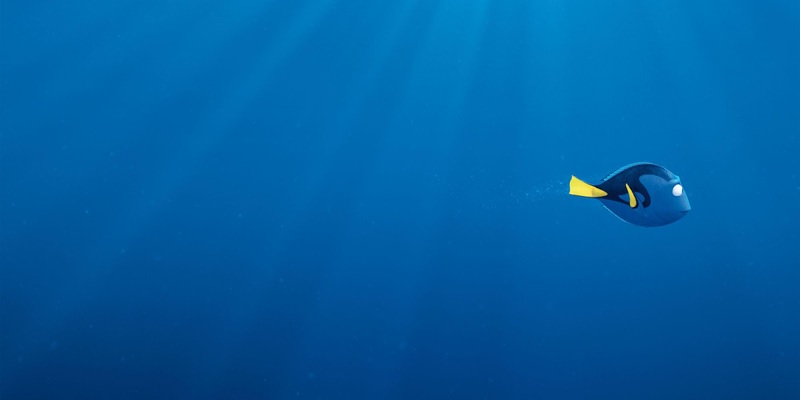 Finding Dory is at times a tad too adventurous but at the centre it’s a compassionate exploration into the depths of a comical sidekick who carries her own sorrows and struggles. Harsher reviews have commented on the film’s similarity with its predecessor, calling it out as unoriginal, formulaic and uninspired. I see nothing wrong with enjoying another venture across the world’s oceans and see enough differences between each film to enjoy Finding Dory as an entirely separate beast. Large chunks of Dory’s searching takes place inside a marine rehabilitation centre where creatures are exhibited and displayed for the pleasures of the general public. Settings such as these don’t just act as platforms upon which to introduce new characters but they subtly explore issues surrounding captivity, pollution and human interference with nature. The familiar voice of Ellen DeGeneres returns to bring life and sincerity to Dory – this time voicing a character dealing with a severe disability and consequential anxiety. Dory still brings us laughs but now she has a complex history and an emotional core. 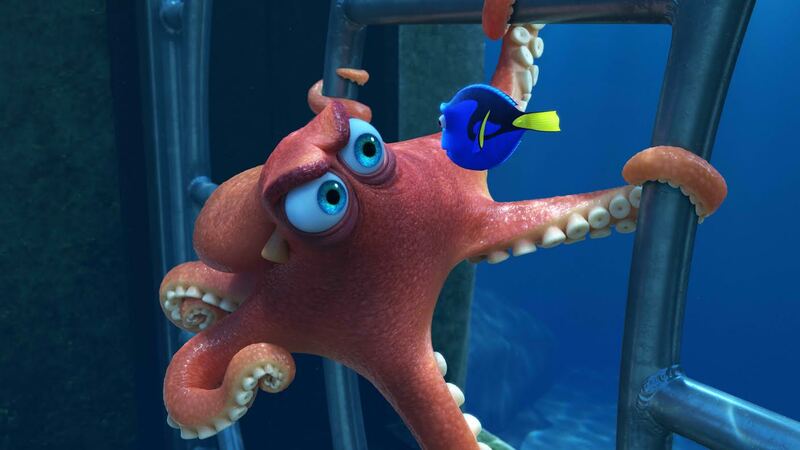 Ed O’Neill voices Hank, a grouchy, socially isolated lone-octopus who begrudgingly assists Dory in her mission. Finding Dory sits nicely alongside Monsters University and Toy Story 3 – films that don’t break any specific ground but which bring enough of their own personality to win audiences over. 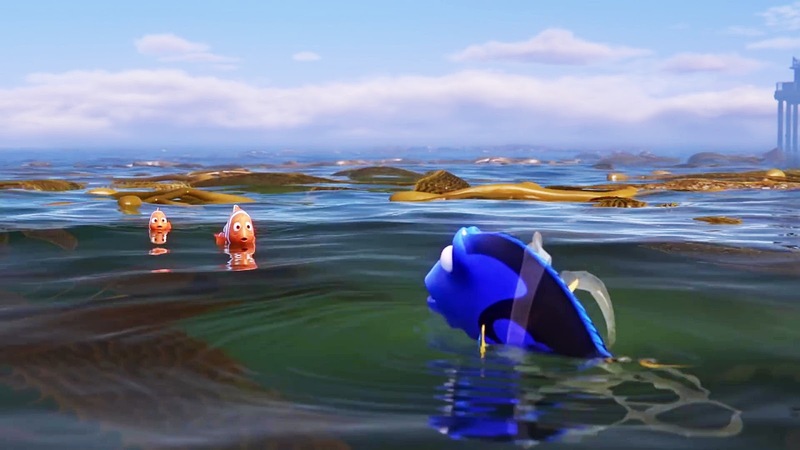 In the case of Finding Dory, it’s even easier to enjoy because if the narrative doesn’t win you over, you can sit back and simply breath in the imagery. Sunshine bounces off the slippery kelp, underwater pipes are coated in thick algae and sand surges up from the ocean floor with all the natural elegance we could ever have hoped for. Pixar’s trademark adorable depictions of youth are present along with several real laugh out loud moments. When ranked by quality, Finding Dory slots nicely into the middle of Pixar’s portfolio. It’s nothing exceptional but still intelligent and charismatic enough to win over this sceptic. Tags: Animation, Cinema, comedy, digital animation, Disney, ellen degeneres, family film, film, Film Review, finding dory, finding nemo, John Lasseter, Movie, Movie Review, Pixar, Review, Sequel. Bookmark the permalink. Previous post ← The BFG.